Jon began stand-up comedy in 2010, with his first performance at Birmingham's Highlight Comedy Club. 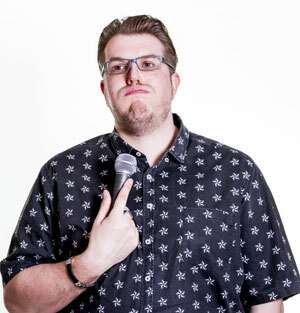 and 5 years working the UK comedy circuit, Jon is now regularly found at the biggest and best comedy clubs across the UK including The Glee Club, The Comedy Store and Jongleurs, both as an act and a compere. His 2015 Dave's Leicester Comedy Festival show, Jon Pearson: Tall Order, sold out at Melton Theatre within 2 weeks of the tickets going on sale. Jon's laid back storytelling has audiences hanging on his every word. With tales based around his own life experiences, his anecdotes are relate-able and certain to have people in hysterics. Based in the Midlands, Jon is the resident MC at his own comedy night Wax Comical at The Noels Arms in Melton Mowbray.